Tom Cutinella was running late for the school bus on Wednesday morning and forgot his football jersey. So his father, Frank, came hurrying out of their home in Wading River with his son's No. 54. "I threw the jersey at him and he caught it and said, 'I love you Dad.' He always said 'I love you' to his family before going to school each morning. 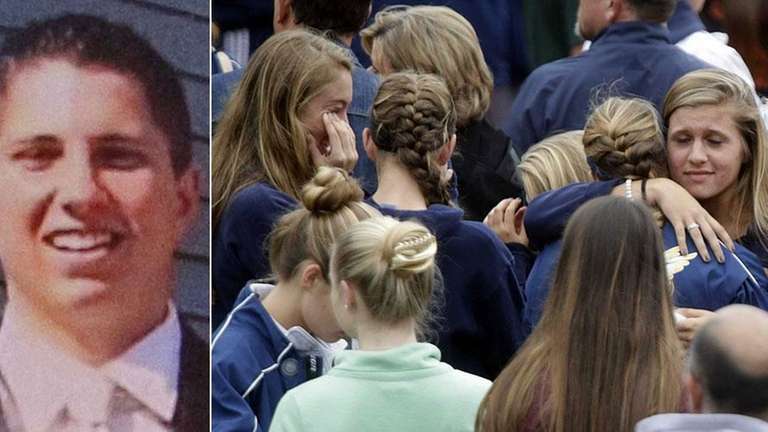 But his mom was still in the house," Frank Cutinella said Thursday. "Then he gets halfway to the bus, turns around and says, 'Tell Mom I love her.' That was the last message he gave us." 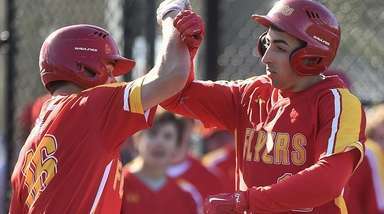 Tom Cutinella, 16, a junior at Shoreham-Wading River High School, died late Wednesday from a head injury suffered during his team's game in Elwood against John Glenn High School. His message of love to his parents was typical of the way he lived his life, friends and family say -- always thinking of others. "There are givers and takers in life and he always said, 'Dad, you know I'm a giver.' And he's still giving," Frank Cutinella said Thursday. "I'm at the hospital right now and they are harvesting every possible organ of his that they can." Frank Cutinella said that on his son's 16th birthday, July 11, Tom took his driver's permit test and told his parents, " 'I want to sign up to be an organ donor.' His wishes are being granted right now." Tom's mission in life was to help others, family and friends say. In school, he was a member of the Natural Helpers program, which focuses on peers helping peers by giving advice. "He didn't have rock stars and famous athletes as heroes. His hero was Lt. Michael Murphy," Frank Cutinella said, referring to the Smithtown-born U.S. Navy SEAL who was awarded the Medal of Honor after he gave his life to save fellow SEALs in the war in Afghanistan. "He loved firefighters, too. People who served were his heroes -- and he meant that. He referenced Murphy's life many times. He used to say, 'Get your Murph on.' And he was proud to know that story." Tom was the eldest of Frank and Kelli Cutinella's four children. Brothers Kevin, 14, and William, 12, and sister Carlie, 10, "loved him dearly and looked up to him," his father said. While in the eighth grade, Tom received the New York State Comptroller and State Attorney General's award, according to his father. "He was presented with the Triple C Award -- for character, courage and commitment. That was my son." At school, Tom also was running for junior class president with his friend Jason Curran, a football and lacrosse teammate, as his running mate. "He was an honors student. 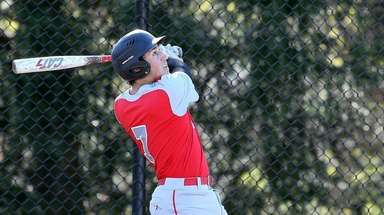 He set his goals high and he was determined to go to either West Point or Annapolis," Frank Cutinella said. 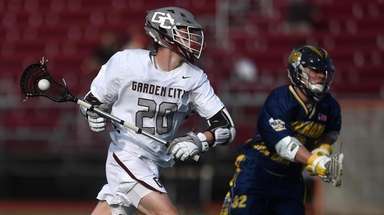 "He'd tell me, 'If I don't get in Army or Navy for lacrosse, I'll get in there on my grades and character.' "
In the community, Tom was known for placing flags on graves at Calverton National Cemetery every Memorial Day. "None of that stuff was phony. 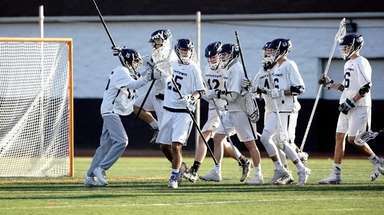 That's the kind of kid he was," said Jason's father, Paul Curran, a family friend who coached Tom in lacrosse since age 6 and in football since age 11 in youth leagues. "Always giving. He was, at 16 years old, a man in the best sense of the word. A better man than any man I know." Curran said that every day after youth league practice, "He would shake my hand, look me in the eye and say, 'Thank you, Mr. Curran.' He was the best of the best." On the football field, Tom played linebacker on defense and guard on offense, a position that involves the dirty work of the sport: blocking so that other players -- running backs and quarterbacks -- can succeed and get most of the attention. 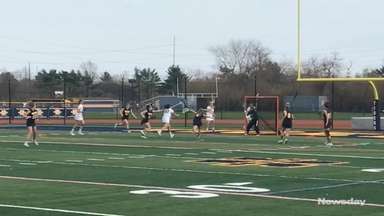 Late Wednesday afternoon, under darkening skies at the football field at John Glenn High School, Shoreham-Wading River was playing the top-seeded team in Suffolk County Division IV. The Wildcats faced a second-down-and-5 situation from their own 45-yard line, leading 17-12. Running back Chris Rosati took a handoff from quarterback Danny Hughes and began to run wide to his left. Cutinella pulled out from his guard position to block a defender. A collision occurred between Cutinella and a Glenn player as Rosati maneuvered around left end and gained five yards on the play, earning Shoreham-Wading River a first down at the 50-yard line. The scoreboard clock showed 3:51 remaining in the third quarter. Cutinella got up and stumbled to a knee after the collision. He stood again and tried to walk off the field but collapsed several feet from the sideline, a school official said. A school physician and nurse from Glenn rushed to Cutinella's side and called the Greenlawn Fire Department, which responded with emergency medical technicians within 10 minutes, officials said. Coaches from both teams, Frank Cutinella and others gathered around the fallen player, trying to assist while waiting for emergency response. After the ambulance departed, officials called both teams together and all parties agreed to suspend the game. Tom Cutinella death: Latest coverage Vigil held for HS football player who diedThe light from candles held by teammates, opponents and friends of Tom Cutinella flickered Thursday ... Tough decisions after death of football playerScary, nerve-wracking, worrisome -- those are just some of the words parents used Thursday to ... Authorities: HS football player dies after hit in gameA member of the Shoreham-Wading River High School football team died after colliding with an opponent and collapsing during the third quarter of a game in Elwood, authorities said.